Bleeding gums and bad breath are both symptoms of gum disease. When the body’s immune defences are unable to protect against invading bacteria, gum disease results. Not every-one is prone to gum disease, however it is very common. Pain is not really a problem other than in the late stages of disease, when the infection has become long standing. 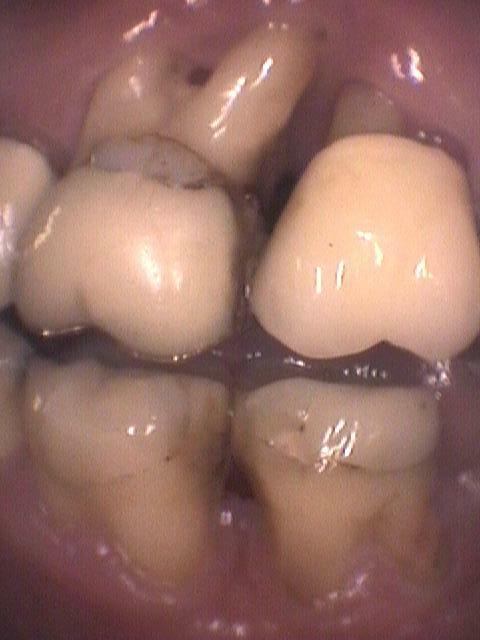 A periodontal abscess can also have a bad taste. 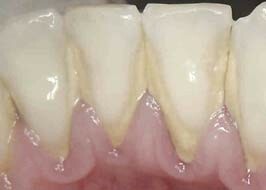 Hard calcified calculus appears yellow on the edges of the teeth. The unhealthy gums are swollen around the calculus. The dentist has de-scaled the teeth, revealing healthy enamel below. The red gums will recover within a day of a professional scale and polish. As the gums are constantly battling with the bacteria, the area around the teeth becomes inflamed, and the bone holding the teeth becomes weakened. The teeth may become wiggly or start drifting apart. The breath may take on a bad odour. Once bone loss has occurred, it cannot be restored. Prevention of bone loss is the aim of treatment. Here we can see dramatic bone loss around the roots. 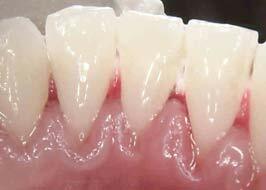 This is advanced periodontal disease. Meticulous, daily oral hygiene will help to slow down this disease. However it is never cured, and requires regular maintenance cleaning by your dentist or hygienist. Time between scaling appointments varies, but an average recommended time is every 6 months. Calculus will return and will require repeated removal. Piksters are one of the best tools to combat periodontal disease. 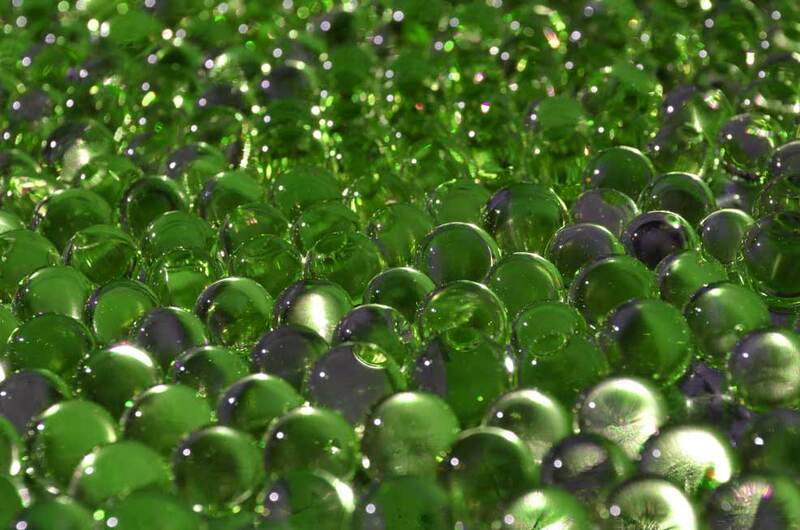 Our video on Piksters shows how.